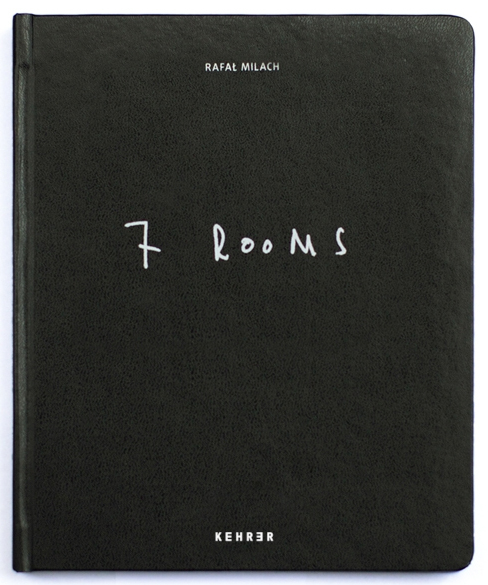 Book Review 7 Rooms By Rafal Milach Reviewed by Christopher J. Johnson 7 Rooms is not what you'd expect. The photographs all carry the mastery that, so far, Rafal Milach has brought to all his works; the unexpected thing, the startling thing, is not the photographs themselves, but the testimonials provided by their subject matter. 7 Rooms. Photographs by Rafal Milach. Kehrer Verlag, Heidelberg, 2013. Hardbound. 152 pp., 57 color illustrations, 6-1/2x8-1/4". 7 Rooms is not what you'd expect. The photographs all carry the mastery that, so far, Rafal Milach has brought to all his works; the unexpected thing, the startling thing, is not the photographs themselves, but the testimonials provided by their subject matter. 7 Rooms presents the reader with seven different people's perspectives on contemporary life in Russia. These are seven windows into seven different interior lives; the theme that runs through all of them is the adjustment between a communist USSR and a democratic Russia. The views in the book are all provided by people who spent their childhoods in a communist milieu where they learned to prepare for a communist future. Their parents and neighbors and grandparents knew the Soviet system but after the collapse of the government these parental figures struggled to embrace a new post-Soviet life, a "free" life. The idea of freedom resurfaces throughout the narratives, specifically freedom as a concept or choice whereby you fend for yourself, make money and build a life. The interviewees were raised to believe that they would get their jobs, homes, and food just like everyone else in the Soviet epoch; they weren't prepared for a life in which you earn those things by your ability, effort, and motivation. Life was hard as a Soviet Russian, but the turn to a democracy was like an overnight change in language -- for some it felt like falling away from the surface of the earth. 7 Rooms, by Rafal Milach. Published by Kehrer Verlag, 2013. The theme of the book is strengthened by a preface of three narratives, accounts of an older generation, the parental generation, during the governmental shift. All three narratives tell a story about suicide. Each focuses on someone who could not make the transition, people who fell to their deaths between the enormous gap created by the sudden change in conduct and lifestyle. The photographs themselves are outstanding. Milach provides a blend of portraiture, interior, exterior and still-life. He is a historian's photographer. Milach creates a diorama of his themes by making us privy to their faces, their homes, and their surroundings. Particularly outstanding are his exterior landscapes in snow. Milach is a master of the monotonous snowy scene by his use of contrast; white snow butts against a white and neglected statue of Lenin; white snow immerses a series of storage facilities (or perhaps trucking docks). Milach finds locations that blend between the urban and the rural: theaters given to neglect, vast public places that are like the meadows of the city, docks, parking lots, and back-lots. His faces, or rather, his subjects, are always of singular beauty. It isn't, however, beauty that one finds in Guess or Chanel ads, but the beauty one finds on subways, at bus stops, in bars and one's own apartment building; the extraordinary beauty of the average person. It is a beauty simply given that stems from daily living, from experience, and surviving, growing.